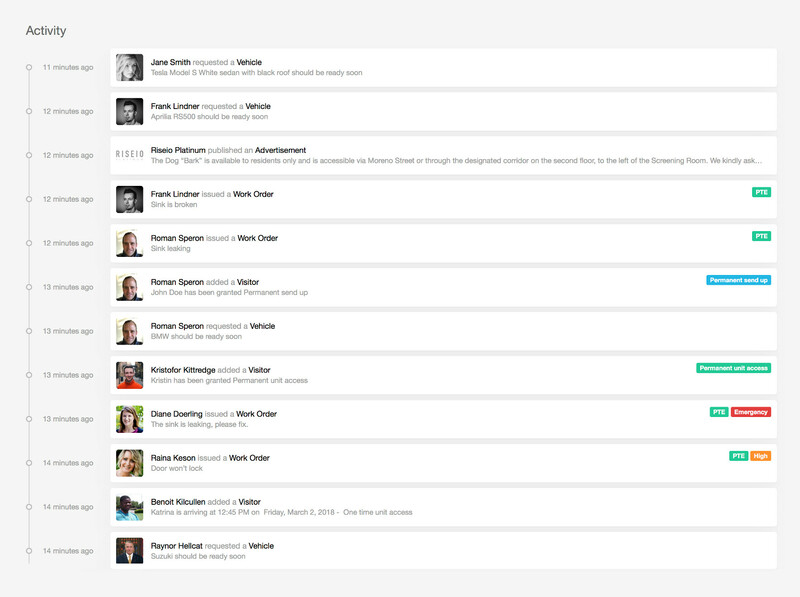 A simple and easy tool for your staff that strengthens their connection with your residents. The intuitive interface ensures that through one screen, staff can learn about the residents and monitor building activity. 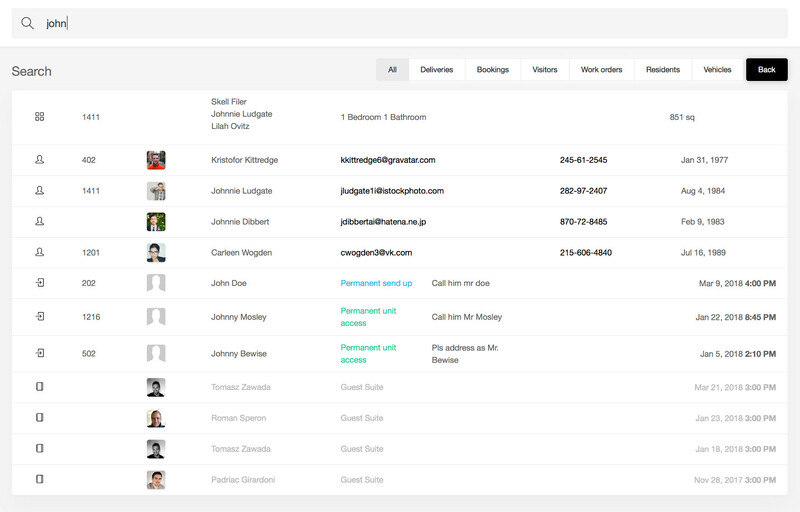 A fast, modern, and intuitive web interface that staff and management love. and request their vehicles, your staff will always be aware and in control. in order to provide an exceptional level of service. 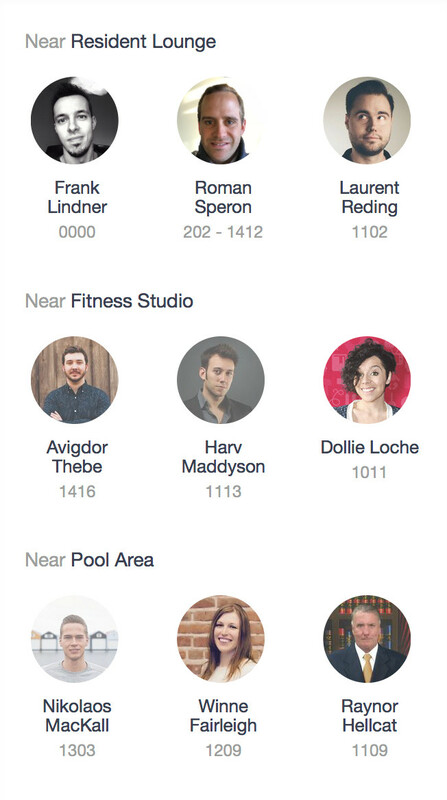 The nearby residents section shows the people around you and in your amenity spaces. Give your staff the ability to be predictive in their service and adapt to your residents' habits. 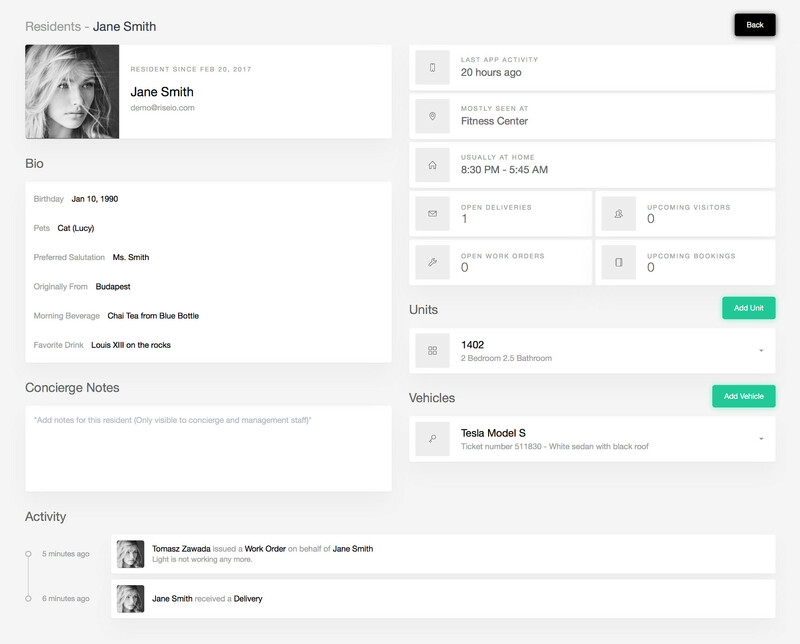 Find work orders, deliveries, bookings, visitors, car requests, and anything else that your residents have received or requested. 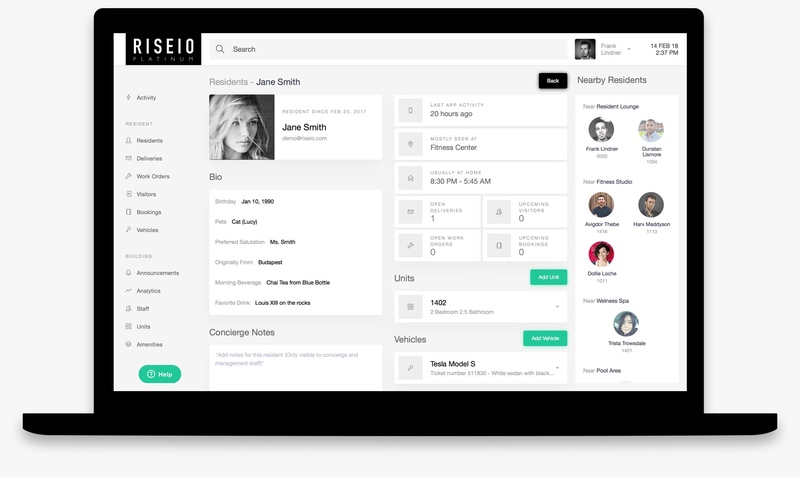 Powerful and instant search to get to the information that matters, in milliseconds.